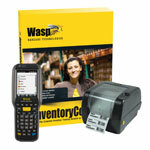 Inventory Control Standard Kit, Inventory Control Standard for 1 user with batch updating to DT60 light duty mobile computer and WPL305 printer. 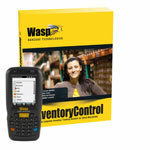 Inventory Control Standard Kit, Inventory Control Standard with batch updating for 1 user to DT60 light duty mobile computer. 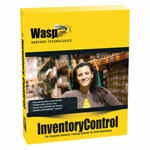 Inventory Control Enterprise Kit, Inventory Control RF Enterprise Kit. Includes: WPL305 barcode printer (4" wide print width, 300m Ribbon capacity), DT90 mobile computer (38 key functional keypad, wireless, mobile computer with pistol grip), Enterprise-level Inventory software, real-time connectivity for unlimited users and all Wasp Inventory Control features (see feature chart). 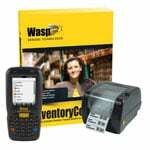 Barcode Discount carries a wide variety of handheld computers from top brands such as Motorola, Honeywell, Datalogic, Intermec, Unitech, AML and many more. Our mobile barcode scanners come integrated with 1D (Laser) or 2D (Imager) barcode technology, and with your choice of a Windows or Android operating system. Whether you're looking for portable data terminals, tablets, or barcode scanners, we have the products that are right for your business. Browse our full selection of handheld computers below.